Dr Joanna Spiteri was appointed as the CEO of the Malta Broadcasting Authority in October 2016. After being conferred a Master’s Degree on her research on the portrayal of gender issues in news bulletins, she followed her studies by reading for a PhD at the University of Stirling in Scotland. 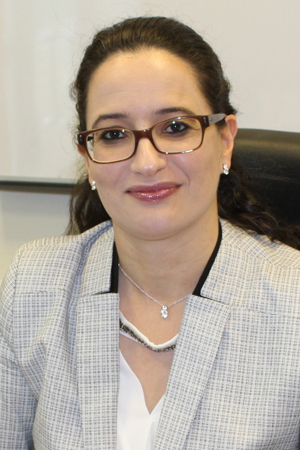 Her research focused on achieving impartiality in the Maltese TV news programmes. She is also a part time senior lecturer at the University of Malta and teaches Gender in Communications. She started her career as a journalist with the public broadcaster in Malta producing local and foreign features for television and radio. She also presented and produced current affairs and informative programmes on the public service broadcaster and then she joined the Broadcasting Authority as a Supervisor in the Monitoring Department. After 11 years in the role of supervisor, she took the role of the Head of the Monitoring Department. She is presently the Chairman of the EU working party dealing with the AVMS Directive as part of the Malta EU Presidency. In 2007 she drafted the Broadcasting Authority Guidelines on Gender Equality and Gender Portrayal in the Media and was involved in a number of projects with regard to gender and the media including the co -ordination of an EU project known as “Portraying Politics: a Toolkit on Gender and Television”. She is also a member of the Press Ethics Commission and in 2015; she co-authored a study ‘Quality in Television Broadcasting’.